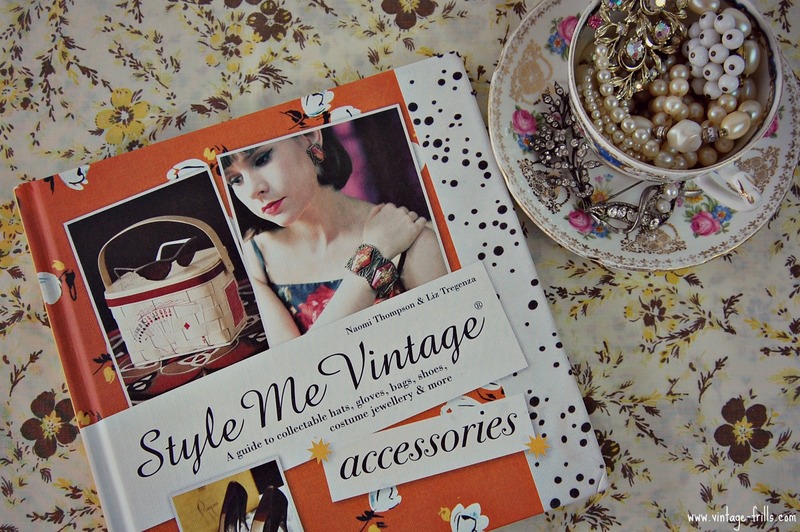 I always look forward to the release of a Style Me Vintage book. 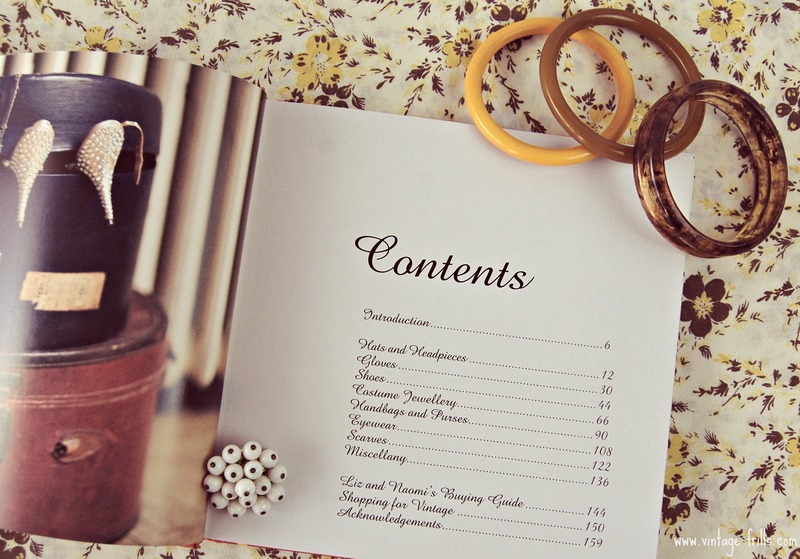 They are beautifully bound guides to different areas of the vintage world and include books on weddings, make-up, clothing and now accessories. The latest addition written by vintage experts Liz Tregenza and Naomi Thompson was kindly sent to me by the publisher for review. Naomi is the author of Style Me Vintage Clothes, a similar book which focusses solely on buying and collecting vintage clothing. She is well-known in the vintage world having been featured in many magazines sharing her knowledge of vintage fashion and styling tips. Liz is a vintage fashion historian, who has curated her own exhibition as well as contributing to many vintage books and research papers. She also has the most amazing collection of Horrockses dresses and collects 50s novelty print items. I have really enjoyed looking through the book and have learnt loads from it’s pages. 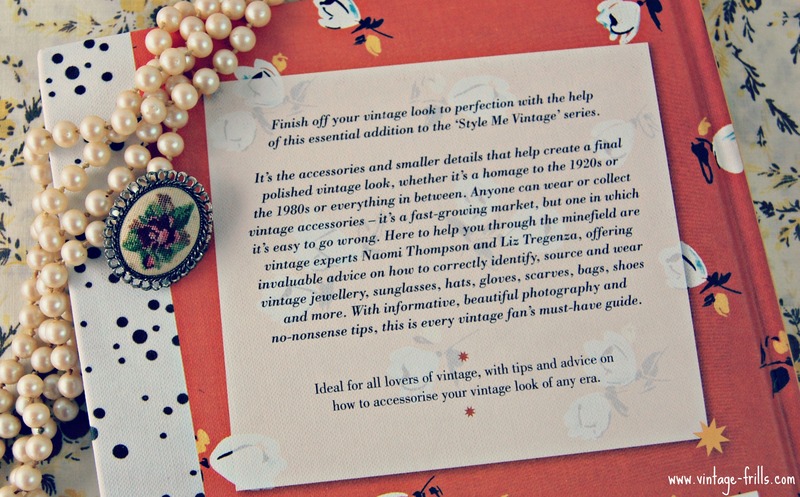 The book is broken down into sections for each type of vintage accessory. Within each section there is a short history of the item, followed by collecting tips, brands to look out for, spotlights of particular brands and era guides. There are also little additions from other vintage experts which are really fascinating. I was especially grateful for the tips of cleaning kid gloves as I have a few pairs that were in need of some tlc and now I know exactly what to do! The beautiful visual elements of the Style Me Vintage books make them really stand out amongst other vintage books. The pictures are all stunning and the guides are laid out in a simple easy to follow structure. I love the little quotes at the beginning of each section and the occasional feature of a modern reproduction item. The book is just long enough to give a lot of useful information, without going into too much detail, so it is perfect for both seasoned vintage collectors who want to improve their knowledge as well as people who are new to collecting and want to know more. I really enjoyed looking at all the wonderful items, many from the two authors collections. A lot of the older pieces reminded me of the stock my grandma used to have in her little antiques shop. I was definitely left desperate to head out vintage shopping after finishing the book. Considering just how many vintage dresses I own, my accessory collection is a little lacklustre in comparison, so I’ll definitely be slipping this into my handbag and taking it on a few vintage shopping trips with me! 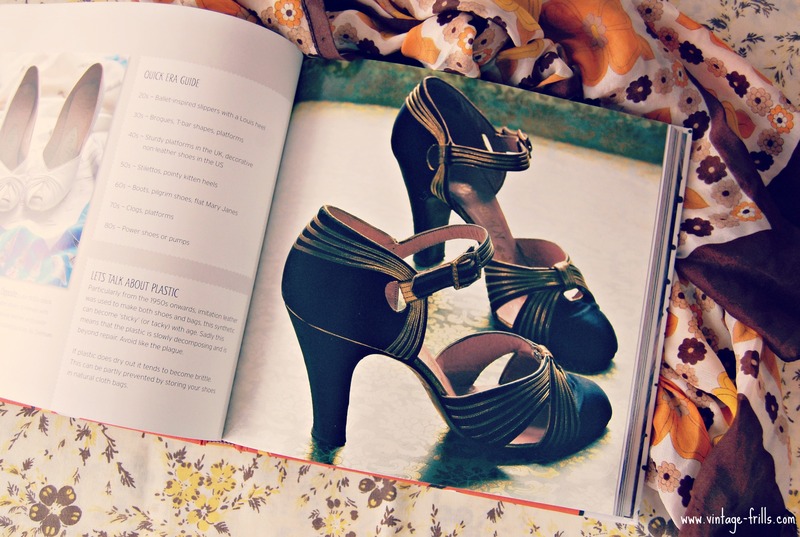 One of the things mentioned in the book is how expensive and hard to get vintage clothing has become, however vintage accessories can still be picked up very affordably at charity shops and car boot sales as well as vintage fairs and shops. I recently picked up a 1940s compact for 50p and have bought many of my handbags for under £5. This is still an area of vintage collecting that is very accessible and that’s why I think this book will be so popular. Even a black high street dress can look classy and authentic with a few well placed vintage accessories. Another point I picked up on in the book is how nice it can be to display vintage accessories around the home, I certainly have a few pretty things dotted around my house so even when things are not being worn they can still be enjoyed. They also last very well, don’t need constant cleaning and apart from shoes will fit any size. I’m definitely sold on accessory collecting now! 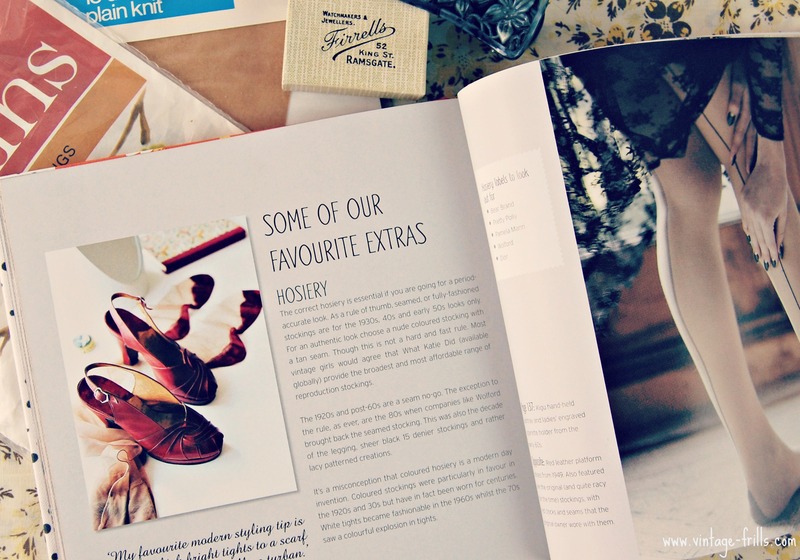 The back of the book features lot’s of really useful resources including museums to visit, blogs to read and great places on and off-line to pick up wonderful vintage accessories of your own. 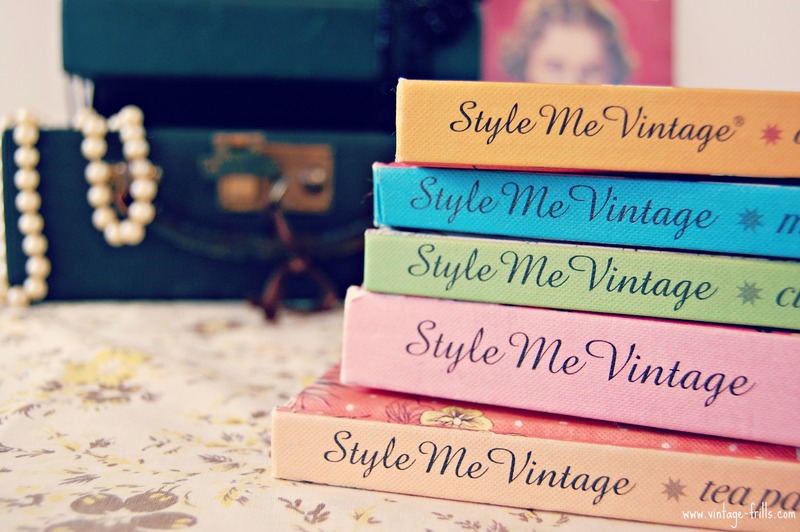 Style Me Vintage Accessoriesis so pretty and well presented and I think it would make a wonderful gift for a friend or relative who likes fashion. I’ll definitely be picking it up as a christmas present for a couple of my friends.